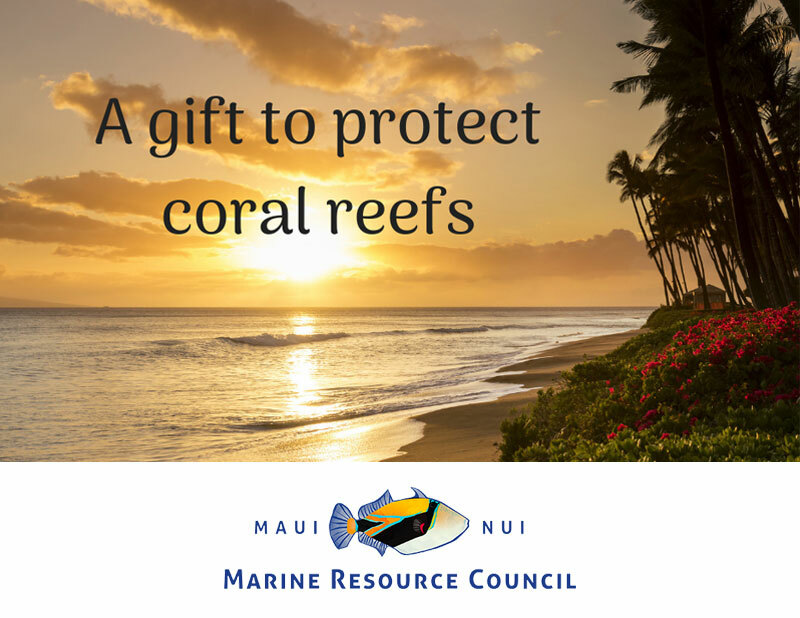 Honor a loved one by giving a tribute gift to Maui Nui Marine Resource Council. A great last minute holiday gift idea! 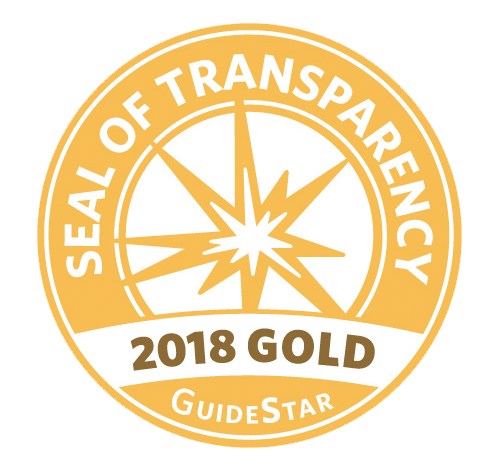 Give a gift donation in honor of a friend or family member and we’ll send your recipient a beautifully designed card acknowledging your contribution. It’s a wonderful last minute gift idea: your tribute card will be sent instantly to your recipient via email. Your gift donation will help protect coral reefs, and also support our work to restore clean ocean water and native fish to the islands of Maui County. 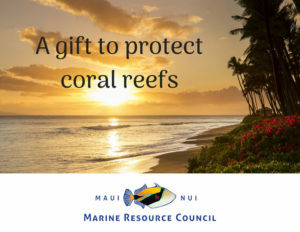 Because Maui Nui Marine Resource Council is a nonprofit 501(c)(3), your gift donation will be tax deductible to the extent allowed by U.S. law. Send this card with your custom message.